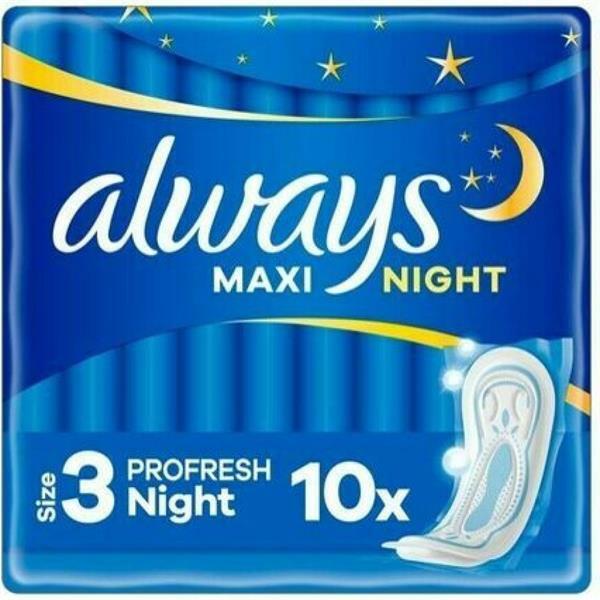 Always Maxi Night 10 Pack gives you up to 100% leakage protection. Always Maxi Night has a liquid-locking gel that pulls fluid in to prevent leakage. It also contains Odour Neutralising Technology which blocks odours.